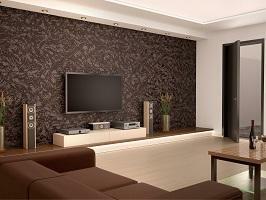 Want low home theater installation costs in Vancouver WA? Don’t like walking over sticky floors? Prefer to eat a hot bowl of fondue or make a tray of homemade chocolate ganache cupcakes instead of a real giant tub of popcorn with fake butter? Then a home theater might be the right option for you! If you’ve looked into this before and thought it was out of your price range, don’t give up until you’ve checked out Flat Panel Pros. With low home theater installation costs in Vancouver WA, you can have all the good parts of the theater experience and skip out on the bad! Need help with home theater design? Acoustics. Want to have the full surround sound experience and minimize dead zones? We know the perfect place to install your speakers to make your wires invisible while maximizing your sound! TV Mounting. Trying to figure out where the best place is to install your TV? We’ll analyze your room and show you the best location for viewing based on light, sound, and convenience. Aesthetics. You want your home theater room to look great. And that includes the room itself too! Along with your picture and sound, our design team will make sure you like your furniture placement too! We’ll make sure your room looks and sounds great and give you the best possible value!